Please, enjoy this review of UiPath Forward Americas signed by TBR's Senior Analyst, Bozhidar Hristov. UiPath understands the need for change management as a leading element of robotic process automation (RPA) and is taking a more mature approach to handling alliance partners, opting to also focus on those partners’ needs to deploy automation internally. TBR attended the second annual UiPath Forward Americas conference in Miami. TBR interacted with executives from across UiPath and its partners and clients. 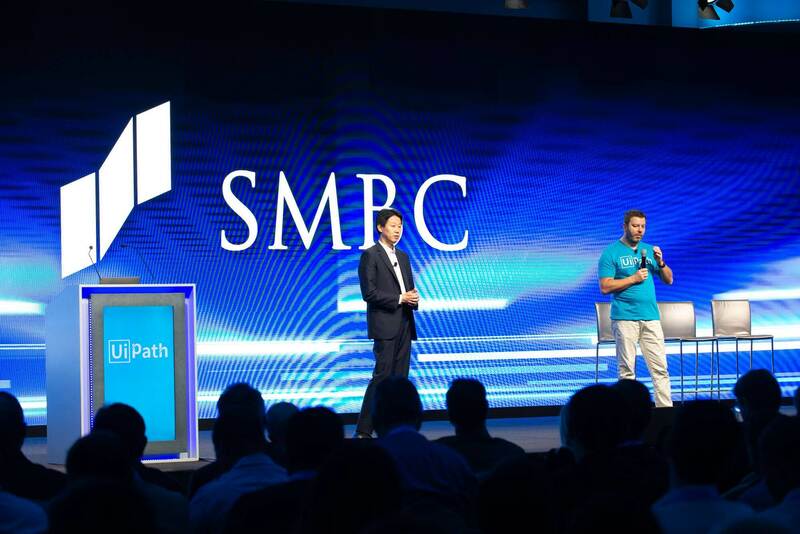 With over 1,500 attendees, including 500 partners and client executives, the conference was three times larger than the first UiPath Forward Americas event a year ago. During the sessions, UiPath highlighted its exponential success over the past three years, with a fair dose of energy but balanced with humility. UiPath provided an update on its financial performance and portfolio road map and laid out new initiatives including the launches of UiPath Go, the Academic Alliance, the UiPath Venture Innovation Fund and the UiPath Partner Acceleration Fund. These new initiatives connected well with the discussions about the need for democratization of automation and collaboration among business leaders, IT and the partner ecosystem. Under the slogan “a robot for every person” UiPath’s CEO and Co-founder Daniel Dines’ vision for automation takes a pragmatic approach and furthers Bill Gates’ 1980 Microsoft mission of “A computer on every desk and in every home.” While UiPath and/or any of its competitors are far from making this vision a reality, it certainly summarizes the company’s total addressable market. As UiPath executes on its vision, the company’s comprehensive portfolio of attended and unattended robots as well as a SaaS orchestrator solution meet current market needs for solutions addressing brokerage and management of structured and unstructured data across the front, middle and back office. Additionally, UiPath’s approach to automation through a business lens makes it an appealing vendor that can help consultancies and other alliance partners better target line-of-business leads, especially clients with backgrounds in Six Sigma and Lean methodology training. While UiPath will continue to have the tough task of overcoming skepticism around the public perception that automation will eliminate jobs, educating the market on the broader ROI from the use of RPA, including increased productivity, improved accuracy and compliance, can help it counteract initial resistance and accelerate adoption. Use cases, such the one with a Japan-based bank that deployed 1,000 UiPath robots to optimize the work of 700 FTEs with the long-term goal of creating capacity for 4,000 employees and saving $500 million over three years, make for a tangible impact on operations and the bottom line. As the pendulum continues to swing between hope for and fear of automation, accelerated by hype, UiPath’s value proposition and go-to-market strategy enables it to illustrate that automation is not a jobs killer but rather a jobs creator. Changing the mindset of the enterprise from a technology focus to a change management perspective defines UiPath’s automation-first strategy. The company is well aware of the implications of automation in business operations, staffing, skilling, etc. UiPath’s announced Academic Alliance to further democratize automation is an example of the company’s commitment to help people, from elementary and middle school students through the Youth in Automation Program to working professionals through the Automation Skills Program, develop the relevant skills. As a critical component of the science, technology, engineering and mathematics (STEM) fields, working knowledge of RPA provides the necessary foundation for people to navigate the highly competitive job market without the fear of losing their jobs to automation. Building out awareness and use cases around the benefits of automation is not an easy task, and UiPath highly respects the value of the developer community and its partner ecosystem. Accelerating automation through the launch of UiPath Go!, an open marketplace with the developer community at the center and where reusable software components are ready to be integrated, enables UiPath and its partners to teach robots new skill sets. And while the RPA software will remain the “hands and the legs” of the robots, a human brain will determine the level of complexity of the business tasks the robots handle. The collaborative environment backed by over 250,000 community developers using UiPath, Go! brings forward automation-enabled content that can help enterprises link their automation agendas with tangible ROI through freeing employees’ capacity from low-level tasks, which can then be used for higher-value tasks. While UiPath will continue to maintain an open architecture for UiPath Go!, where one does not need to be a client to leverage it, client demand for bespoke solutions and rapid module integration will compel the company to develop a commercial model. With scalability comes demand for security. UiPath has been striving to build a use case for security since its inception by adding government clients including NASA, the Government Services Administration and others. While RPA optimizes business processes and is usually owned and controlled by the business leads, the involvement of the IT buyer in security and infrastructure is a must— a strategy many of UiPath’s current customers have adopted. While many might consider the 13-year-old UiPath to be in its teenage years as a software vendor, the company’s alliance partner strategy could be described as 13 going on 30. Managing working relationships with over 500 partners, including the broader developer community, technology partners (e.g., Microsoft and Google Cloud), large software vendors (e.g., Oracle and SAP) and systems integrators (SIs) such as PwC, EY, Deloitte, Accenture, etc. demonstrates UiPath’s appetite for innovation through collaboration. 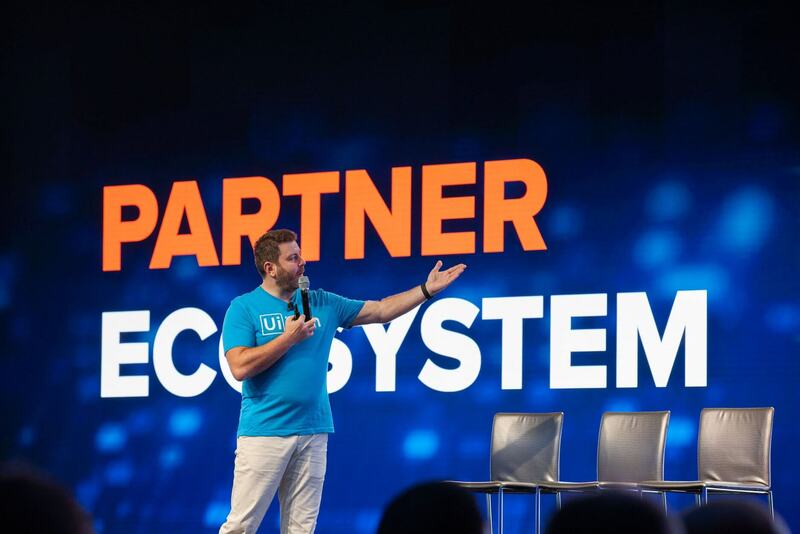 To further showcase its commitment to its alliance partners, UiPath launched the UiPath Venture Innovation Fund and the UiPath Partner Acceleration Fund, committing $20 million to companies including startups with business process management, chatbot-centric and artificial intelligence (AI)-focused go-to-market strategies. As UiPath builds momentum, alliance partners help the company gain trust with large enterprise clients as automating low-level mundane tasks across commonly used applications such as Microsoft Excel provides tangible outcomes to otherwise highly hyped digital transformation discussions. Playing to its strengths, UiPath business consultants approach alliance partner relationships as complementing UiPath’s go-to-market strategy rather than competing against them. As a result, UiPath appeals to a broader partner ecosystem in a three-pronged approach. First, whereas channel partners, especially large SIs, typically recommend technologies to key clients, the smaller vendor UiPath is not trying to dictate the terms of the relationship with its larger partners and instead tries to complement it, thus earning its reputation as a flexible and humble partner. Second, winning alliance partners over also makes them great clients, as many seek to optimize their own internal operations. Such relationships arm UiPath with the necessary use cases to reach critical mass. Third, UiPath’s business-first approach to automation fits well with many of the SIs and consultancies for which change management is a core service line, creating an entry point for expanding client wallet share. UiPath is not alone in the RPA market, but the company’s decision to keep its core product “open and free” is certainly gaining attention with the right audience, as evidenced by its 1,800 customers and the latest round of $225 million in funding co-led by Sequoia Capital and CapitalG. We don’t think automation or any of the other aforementioned trends will likely abate anytime soon, but we believe vendors that look in the mirror first before heading out the door and trying to sell stuff, outcomes, value, etc., are the ones that can survive in the long run. UiPath scales performance by building a solid foundation through zooming in on customer zero — itself — first, which will be key to maintaining long-term sustainability. We expect UiPath will continue to face increased competition especially as its early success around democratizing automation education invites new entrants trying to capitalize on demand for optimizing processes. TBR will continue to monitor the impact of automation on IT service delivery and employee staffing levels across large SIs in the upcoming Global Delivery Benchmark. As a key player to how SIs approach RPA and automation, UiPath’s value proposition can have a pivotal role on which KPIs vendors adopt to measure ROI.